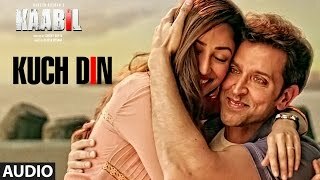 Presenting the Audio Song "Kuch Din" from the upcoming Bollywood Movie "KAABIL", which is the story of a man who lived, laughed and loved just like everyone in this world. Until one day, a terrible tragedy struck. Driven by the fire of vengeance, nothing will stop him. Not even the fact that he has been blind since birth.